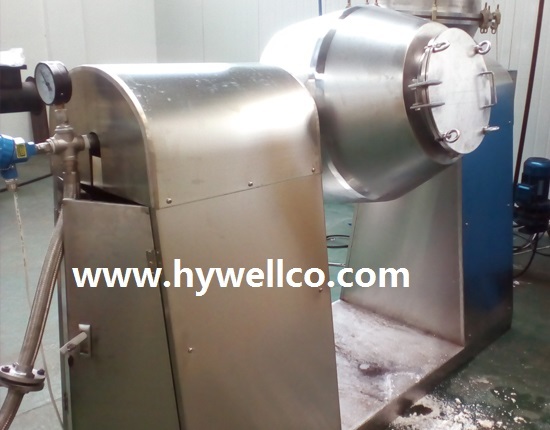 Hywell company are medicine ,food and chemical machinery manufacturer that from china, we are professional design and manufacture the drying machine that include the Rotating Vacuum Equipment, Double Tapered Dryer ,Rotation Vacuum Drying Machine, mixing machine ,and granulator machine ,grinding machine,sterilization and so on that start from 2009.we approved the CE,ISO,GMP . we also design and manufacture the different machine process line base customer requirment such as fruit puffing line, instand granules process line and so on. 1. Vacuum Drying Machine is mainly suitable for the following materials to be dried in pharmaceutical, foodstuff and others industries. 2. The container of the Double Tapered Dryer rotates continuously so as to renew surfaces of heating materials. 3. Rotation Vacuum Drying Machine adopts Indirect heating approach and unpolluted material. 4. Double Tapered Rotating Vacuum Dryer will be increased by over two times in heat efficiency compared with the general one. 5. Low temperature, Rapid drying and Mixed powder. 6. The material in the Vacuum Dryer is heated by steam or hot water. 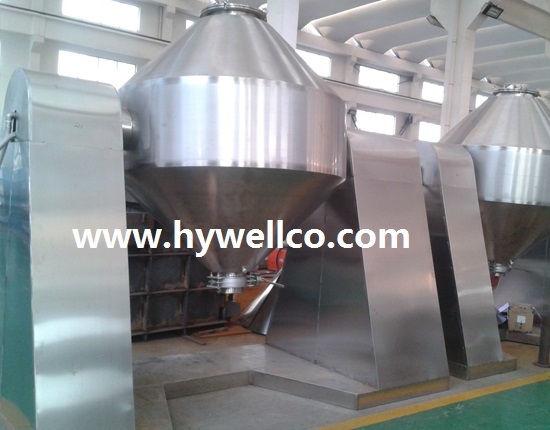 This Vacuum Dryer can be widely used for drying or mixing powder or granule materials in pharmaceutical, chemical, foodstuff industries etc. The main technical datum of the vacuum drying equipment is for reference. We also produce and design product as per customers' requirement.